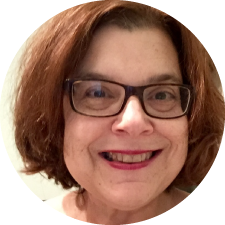 I’m Kathy, a wife and mom in the Midwest who has prediabetes. I’ve worked as a newspaper medical writer, have done short stints in food writing and also have a master’s degree in Counseling. I use my background to manage my high blood sugar in the easiest, tastiest way possible. I’ve lost 40 pounds over the past few years and am doing my best to prevent or significantly delay a diagnosis of Type 2 Diabetes. When I’m not writing or herding teenagers, I volunteer with at-risk children, read, cook creatively and craft greeting cards. I hate to exercise regularly but I do it anyway, dragging myself to the gym three times a week. A big thanks to following Northeast Ohio healthcare professionals who lend their expertise to bloodsugardown.com: Kristin Clites, M.S., ATC; Dedra Green, R.N., B.S.N. and Jerry Rogers, R.Ph. My professional background is medical and feature reporting and I also have an M.A. In Counseling. In other words, while I hope this blog helps you live better and happier with prediabetes, please do not substitute the information you read here for professional medical advice.